The workshop will engage participants in a discussion and information exchange about three (3) white papers that are in various stages of completion by WREN. Participant's in put is expected to be extremely beneficial to formulating these papers. And participants will be encouraged to continue to contribute to the paper development after the conference workshop through connections made with principal authors. Opportunities for peer reviewing and or co-authorship will also be explored. A short summary of the paper topics is below. The Risk Based Management white paper will explore methods used to evaluate risk at land-based and offshore wind farms, and will develop recommendations for robust risk estimation techniques and assumptions. The purpose of the improved risk estimates will be to inform future wind farm development, and to provide consistent and CWW 2017 – WREN workshop 2 accessible methods for data collection and analysis. While wind farms currently undergoing consenting/permitting processes may benefit from the outcome, the intent of this white paper is not to complicate ongo ing processes but to develop a base of knowledge and analyses that will accelerate wind development moving forward. The white paper on Cumulative Effects Assessment (CEA) will focus on elements central in assessing cumulative impacts of wind energy both land-based and offshore, providing an overview of the implementation of cumulative effect assessment in the nations that make up WREN. The paper will provide recommendations for the best methods for CEA and identify the next steps to be taken for the su ccess ful implementation of CEA for wind energy and wildlife. Green versus Green refers to an action or activity undertaken to add value to the environment in one aspect that may have a negative effect or a risk of a negative impact at another scale or for another activity. In the context of wind energy and wildlife, the global advantage of developing a low-carbon energy source can be pitted against negative impacts at the local level. The situation may be represented by many different interests and requires a complex analysis to understand the implications. This paper will examine structured processes for the green versus green trade-offs and will assess evidence in the context of consenting wind energy farms, with a focus on transparency and sound justice. Before the workshop, WREN members will survey the wind and wildlife community in their respective countries, and a summary of that input will be sent to registered participants prior of the workshop. During the workshop, the survey responses will be presented. The bulk of the time set aside in the workshop will focus on specific white paper topics. A facilitated discussion will encourage workshop participants to provide additional input on the topics. The output of the workshop will be used as input to the respective white papers. WREN ( Working Together to Resolve Environmental Effects of Wind Energy), a task under the IEA Wind Program, is a collaboration of 11 nations whose primary objective is to facilitate international collaboration and advance global understanding of potential environmental effects of wind energy. WREN promotes active outreach and engagement of the wind energy community; additional details can be found at https://tethys.pnnl.gov/about-wren. 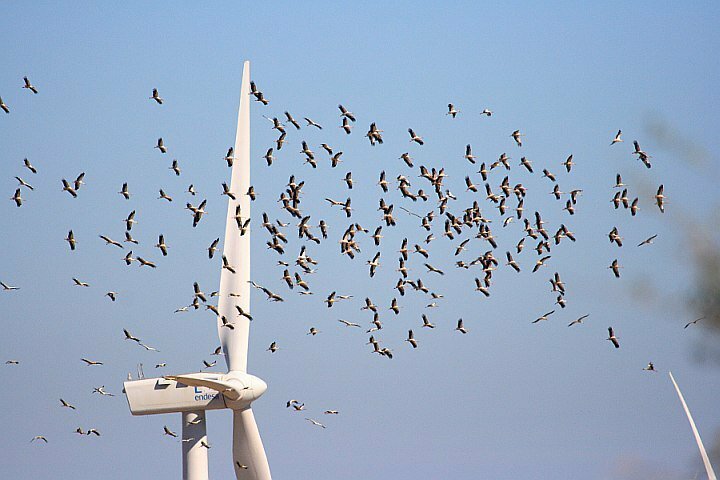 In addition, WREN seeks to add new knowledge through the development of a series of white papers that address complex issues that apply to wind energy and wildlife interactions. This workshop will be located close to the conference facility, in "Espaço Memória dos Exílios". Further details will be made available to workshop registrants. Participants are asked to review survey responses that will be sent to them ahead of the workshop. Mid-afternoon refreshments (coffee, tea and light snack) will be provided.